Always strive to be a valued partner to our customer by providing differentiated services, thought leadership and continuous improvement. Asheesh Bahal is jointly responsible for the Banking, Financial Services and Insurance (BFSI) vertical in Nagarro. He was last the Delivery Head for the most strategic and largest relationship in the Capital Markets vertical in Genpact-Headstrong. Prior to that, he worked with Credit Suisse, NY. Asheesh has over 23 years of service delivery experience largely managing global financial services customers. He has led large programs and transformation initiatives critical to customer business objectives. 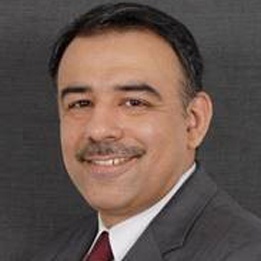 He has extensive experience in establishing global execution models and offshore development centers adhering to stringent financial institutions norms. He holds a Bachelor’s in Computer Engineering from Pune University.